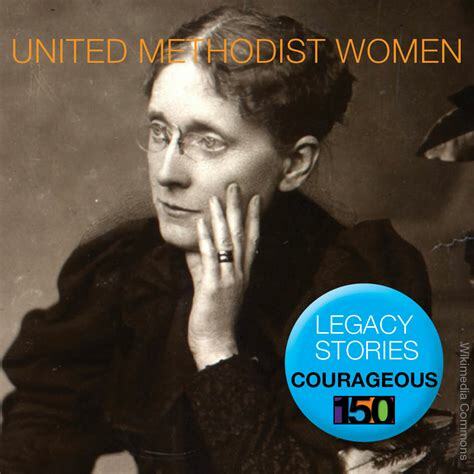 Courageous Methodist women, such as Anna Howard Shaw and Frances Willard, were leaders in the struggles for women’s suffrage and worker rights, including efforts against child labor. In 1904 Ms. Shaw became president of the National American Woman Suffrage Association. She also pressed for women’s right to serve as voting delegates to the Methodist Episcopal Church General Conference. Likewise, Frances Willard was president of the Woman’s Christian Temperance Union, the largest women’s organization in the United States at the time with 150,000 members. Under her leadership the association not only worked for Prohibition, but it also advocated for an eight-hour workday, to raise the age of consent for girls (which was 10-12 years old in most states and as low as 7 years old in at least one state) and for women to have the right to vote in the United States.